I colored with markers then white embossed a sentiment from Tiny Townie Ellie the Elf. 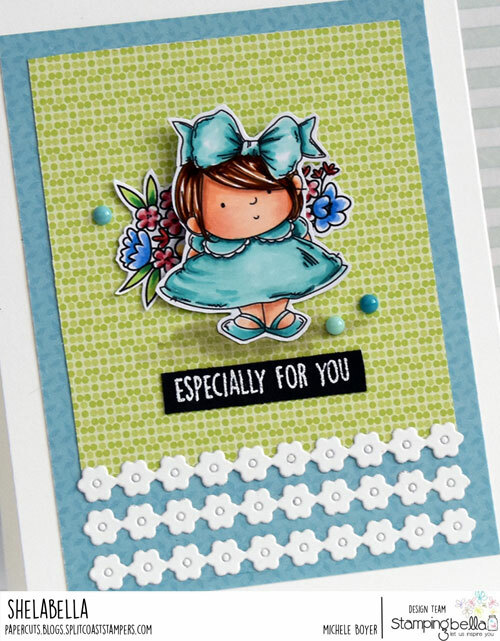 The flower border is from Taylored Expressions’ Skinny Mini Borders 2 and patterned paper is Picture Perfect from Queen & Company. 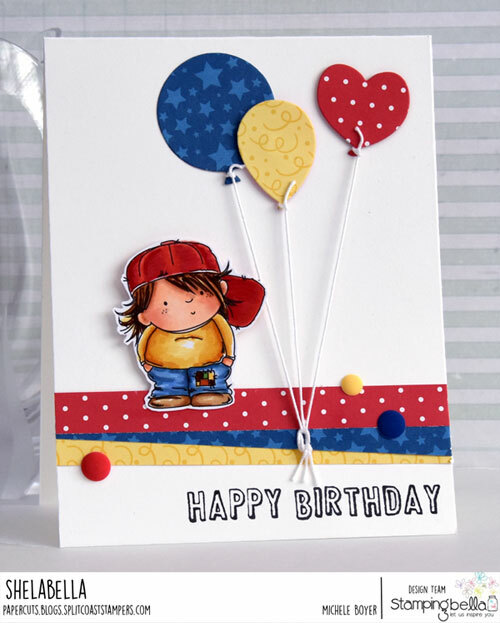 Next, I used a second Squidgy Pal and Birthday Sentiment to create a boy birthday card. 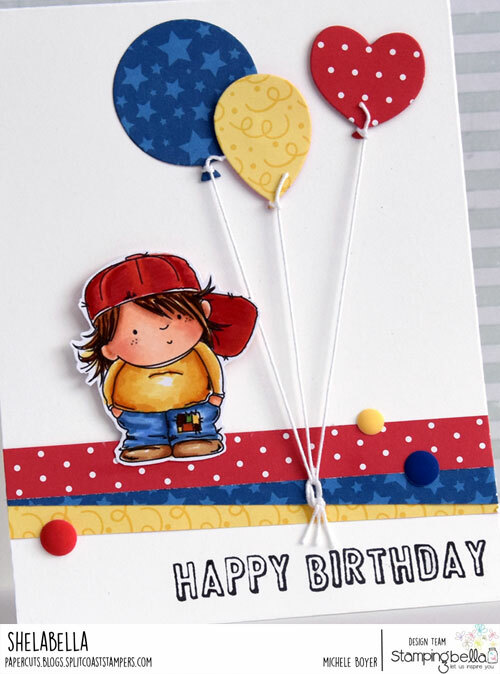 I colored with markers, cut out and adhered over strips of Birthday Bash and Delightful Dots patterned paper from Queen & Company. Balloon dies are from Paper Smooches. 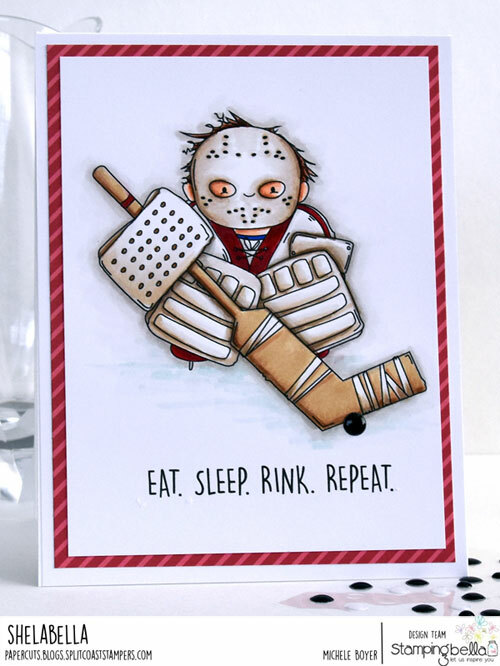 And last but not least for today is new Goalie Squidgy. I am a H-U-G-E hockey fan, specifically the 2018 Washington Capitals Stanley Cup CHAMPIONS! 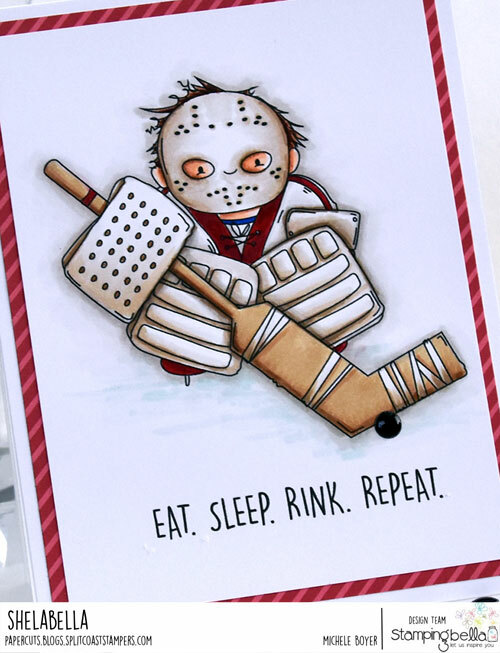 (#ALLCAPS #fanthroughthickandthin #superexcitingyear #itwasstressful) So I was happy to see this cute goalie. Of course I colored him in Washington Capitals colors (how could I not?) and used a Queen & Company black Epoxy Dot as the puck. Patterned paper is from Fruit Basket (also Q&C).